Latest development of VR technology enabled people to enjoy varieties of immersive VR environment in small spaces. Locomotion interfaces are essential to explore extensive virtual worlds with more sense of immersion. 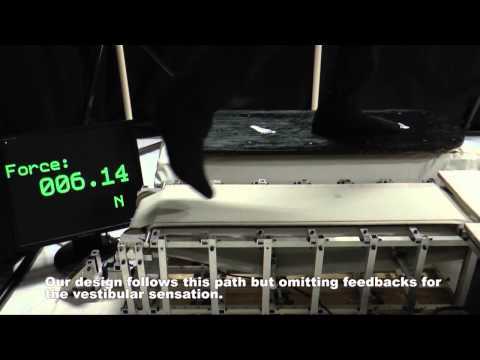 VibroSkate is a small and low-cost locomotion interface which reproduces the exact haptics and kinesthesia of feet. The device simulates skateboarding, and enable the players to feel the ground and the acceleration, with realistic vibrations of a skateboard. VibroSkate gives players strong sensation as if their physical body exist in the virtual world, by exploring the world with exact force to thrust the body.